For short diminutive women of my grandmother's generation. Most things in this world do have a clear reason. In school we all must have read about Vitamin D, its relation with sunlight and how lack of it causes Rickets and Osteomalacia. 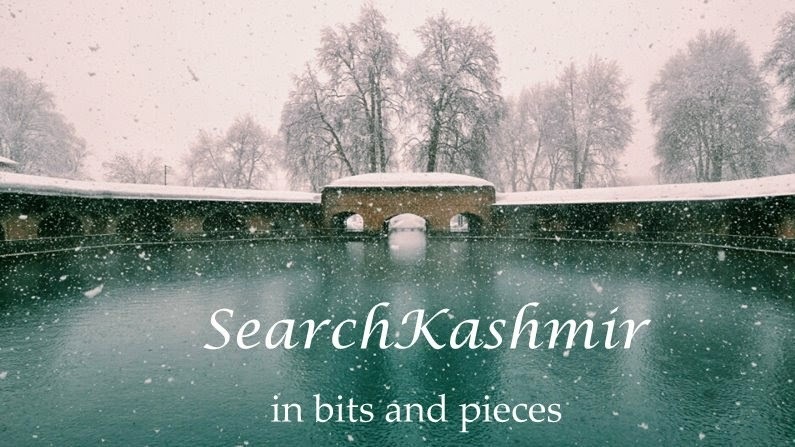 What we not told in school books is how these simple associations were arrived at and how Kashmir, its socio-environmental conditions, played a vital part in human understanding of this biological association. In 1920s, a Superintendent of H.H. Maharajah of Yammu & Kashmir's Diamond Jubilee Zenana Hospital, obstetrician Kathleen Olga Vaughan noticed an interesting phenomena among Kashmiri women. She found that women of rich high-born families were more likely to develop weak bones as compared to poor women of boatmen tribe. Kathleen Vaughan was able to deduct a reason for this strange phenomena. She linked it to diet, place, season, to the presence of veil and to the lack of sunlight. There is a marked seasonal incidence; the disease is worse in winter and early spring, during and after confinement to the house in the cold weather, and improves markedly during summer and autumn. A common history is that of confinement to the house at 8 or 9 years of age, marriage at 10 or 11, menstruation at 12 or 14, and close confinement in the husband's house until after the first child is born; in the most high-class families the women hardly leave the house till they die. The ordinary woman has more freedom, and when she has borne two or three children she goes out with other women. Purdah, which means a curtain, is used of the system which ensures the seclusion of the woman from all men except her husband and her brothers. It varies in strictness, and is much less strict in Kashmir than in India. In Kashmir it really only affects the women of marriageable and child-bearing age. Among the better classes they are more or less confined to the house. Girls of 9 are not allowed out alone, and if brought to hospital are often closely veiled. The Hindus, who in theory do not observe this custom, do so in practice. The young girls from 8 or 10 to 15 rarely go out until married, and then not till after the birth of one or two children. Marriage takes place before puberty in many cases, because in order to ensure early marriage the younger the bride the less are the fees to the priests. One of the greatest sins a father can commit is not to have married his daughter at puberty. After marriage she is confined to her husband's house, and her food and happiness depend entirely upon her mother-in-law, who often keeps her short of food, from an idea that she will have an easier confinement if the foetus is kept small by spare diet. It has been pointed out by other observers that much tuberculosis originates in these girls during the first year of married life owing to these miserable conditions. The women wear but one garment and go out in the winter as little as possible. They live in the lowest rooms of the high wooden houses in the winter, so as to be on the same floor as the water supply and the fire.The ground floor is the warmest. The windows are sometimes less than half a yard square, and protected against thieves by being near the ceiling and closed by wooden lattice-work. All windows are so made, but on the upper floor are larger. In winter they are covered with oiled paper to keep out the cold. The minimum of available light is thus admitted, and some rooms, specially liked for warmth, have no window at all. That the light supply is sufficient for health in all ordinary life is proved by the rarity of rickets and the healthiness of the boat women and the country women working in the fields, but a degree of seclusion which would have little effect on the plains of India produces osteomalacia in Kashmir. A photographer who lived for many years in Kashmir said that he always gave twice the exposure he would in England to get a good result in Kashmir, which looks as if the actinic rays might be deficient. most of the oblique rays of the sun in mid-winter are cut off by the mountains encircling the valley. Anaemia and debility characterize pregnancy, with vague pains in the ribs, back, and legs, increasing until walking is difficult or impossible at term. Anaemia is always present, and unfortunately is admired, as a fair complexion is considered as a sign of being well bred. Rickets is not common in Kashmir. 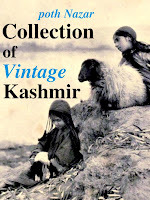 The few cases I have seen were in female children who had lost their mothers in infancy, belonged to wealthy Kashmiri families and had been kept indoors with the women, Usually even infants go out, and male infants are taken out by the men and boys to show to their friends when very young. A girl child is never made so much of. The water of the river is considered sacred that it cannot be defiled. It can hardly be matter for surprise that everyone suffers from intestinal worms. Large round white ones are the commonest, and their leaving the body is often a sign of the impending death of a patient, as a house-surgeon with long Indian experience once pointed out to me. There are three indigenous Kashmir cures for "trouble in the bones": (1) a special clay called baramulla earth; (2) pills made of fish liver; (3) rubbing with mustard oil and exposing to sunlight. 1. Baramulla earth is a greyish-white fire-clay used for making fireplaces in wooden boats, and for portable fire-pots on which to cook food. A lump of this earth taken from a patient with osteomalacia, who ate pieces of it, was analysed for me by the Clinical Research Association, which reported that it was a ferruginous clay containing high percentage of calcium phosphate (calcium phosphate 16.2 per cent., ferric oxide 11.8 per cent., hydrated aluminium silicate (in clay) 71.2 per cent., and undetermined residue 0.8 per cent.). Sulphates were present to a very small extent. The radio-activity of the sample was not more than is usually found in any natural earth; arsenic and similar metals were not detected. 2. The fish-liver pills were sold by a Panditani (Hindu woman) living at the city fish market. She makes them herself. The analogy with cod-liver oil is interesting. 3. The mustard oil and sunlight cure is chiefly used by the men for their rheumatic pains. Sunlight alone can cure the disease, and cod-liver oil without sunshine is of very little use. Many when pregnant are suckling one or two previous children. 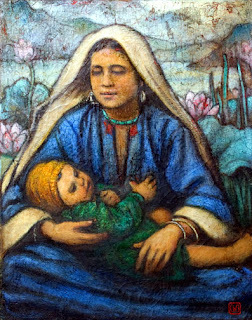 A man in Srinagar once said to me:"The reason I am so small is that when I was a baby my elder brother took all my mother's milk because he was a strong boy; and then my mother had another baby and gave her mild to him, so I got none" - a common history. From 'Osteomalacia in Kashmir' by Kathleen Olga Vaughan, for British Medical Journal, 1926 March 6. Via: US National Library of Medicine. A more detailed study on the subject was later published by her titled 'The purdah system and its effect on motherhood : osteomalacia caused by absence of light in India' by (Cambridge : W. Heffer, 1928). Now i understand why my grandmother was so small, although she had come from old money. Why not a cupid service for KP girls as well along with the Pinoy girls. A Rage Comic: A Kashmiri Metal Head.